Andor's iDus 416 platform boasts a unique combination of very low dark noise and very high near infrared QE. 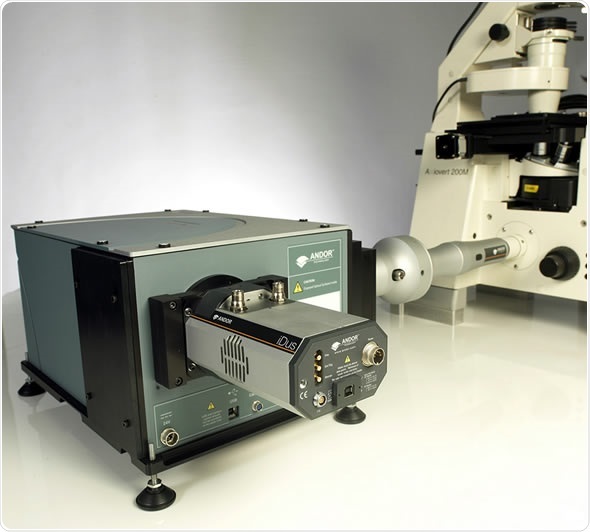 This makes it the ideal detector for NIR Raman and photoluminescence, greatly reducing acquisition times and removing the need for inconvenient LN2 cooling. 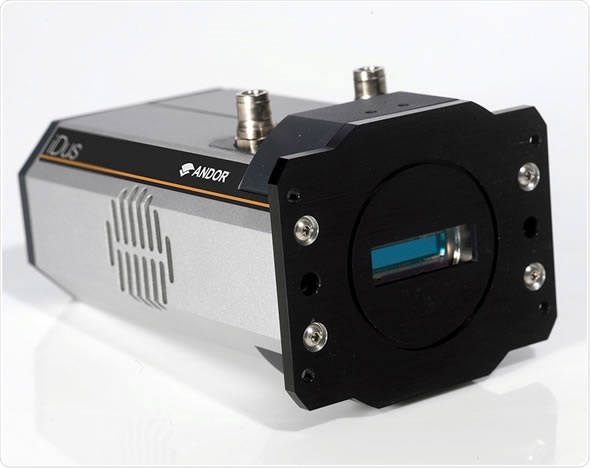 The unique 2000 x 256, 15 μm pixel array allows extended, broadband and high resolution spectral acquisition, while the fringe suppression technology virtually eliminates the optical etalonning at the longer wavelengths. 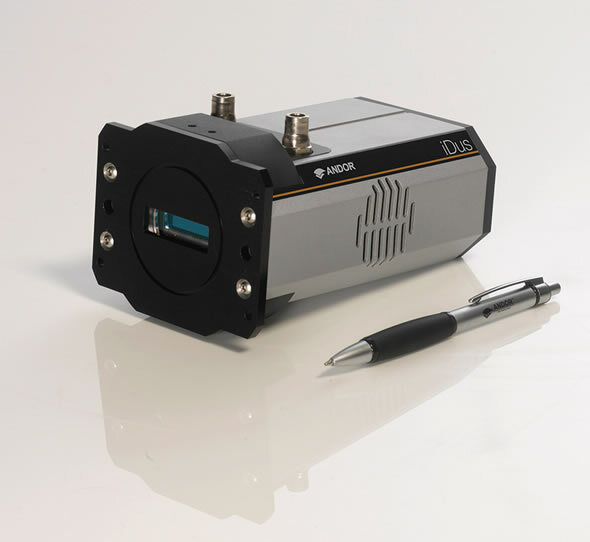 With its compact form factor and USB 2.0 connectivity, the iDus 416 can be seamlessly integrated to Shamrock spectrographs and controlled from a laptop. Andor's UltraVac™ technology offers un-matched performance and reliability, maintaining superb performance year after year in both Research laboratory and industrial environments.